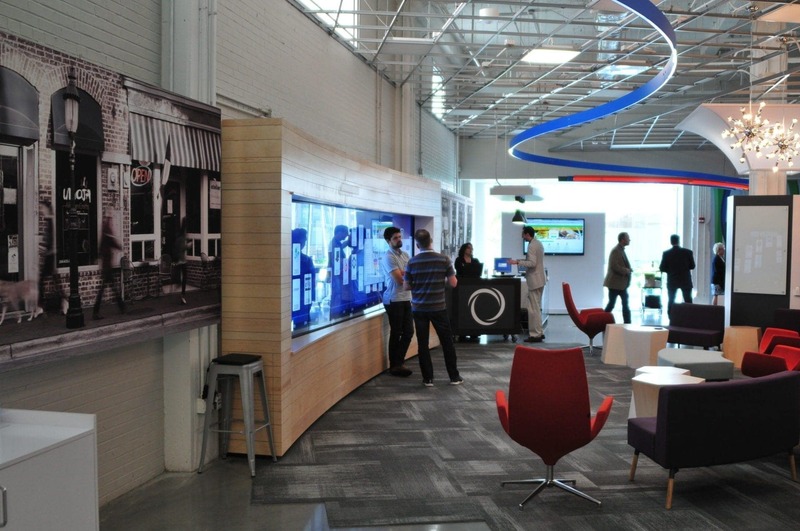 Featured Project / Inmar Innovation Lab / Inmar handles complex transactions and logistics between brands and retailers. 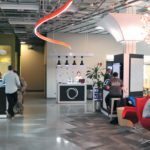 The big data generated by these interactions is also used to help Inmar’s clients and partners become more profitable. 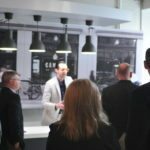 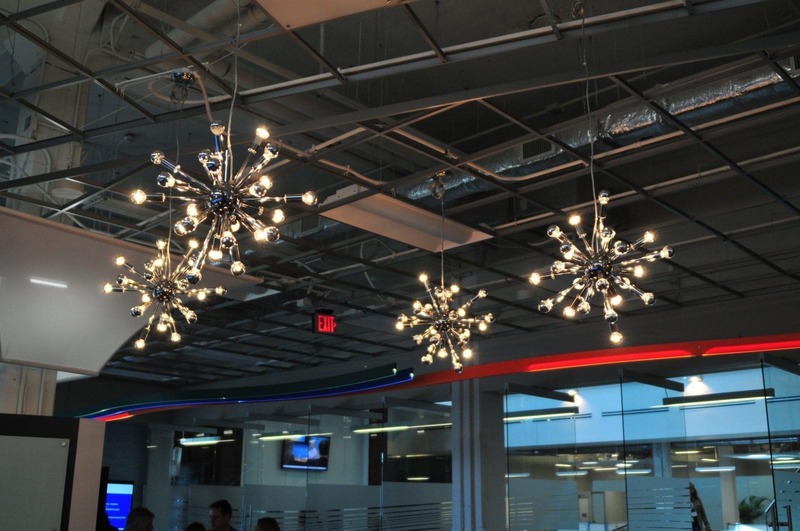 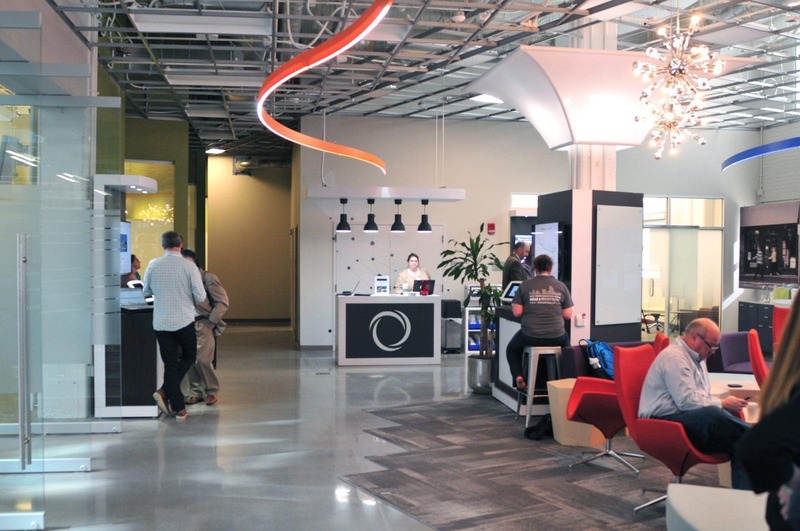 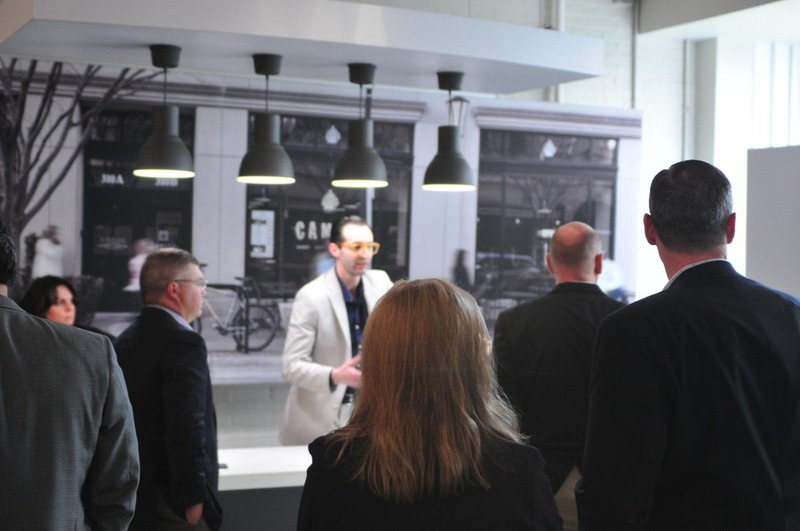 Based in the Innovation Quarter in Winston-Salem, Inmar invited Holt Environments to visualize and upfit a branded environment within their headquarters. 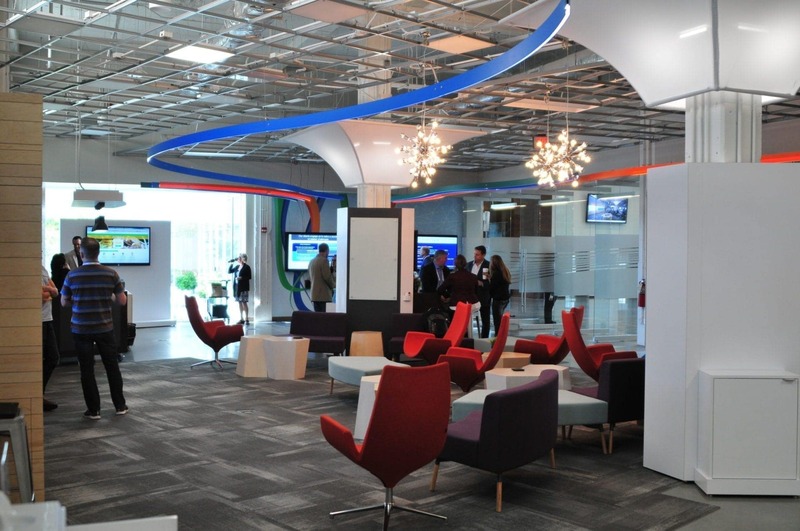 This Innovation Lab now acts as Inmar’s main showcase for explaining their data platforms. 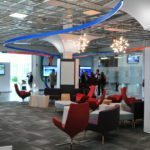 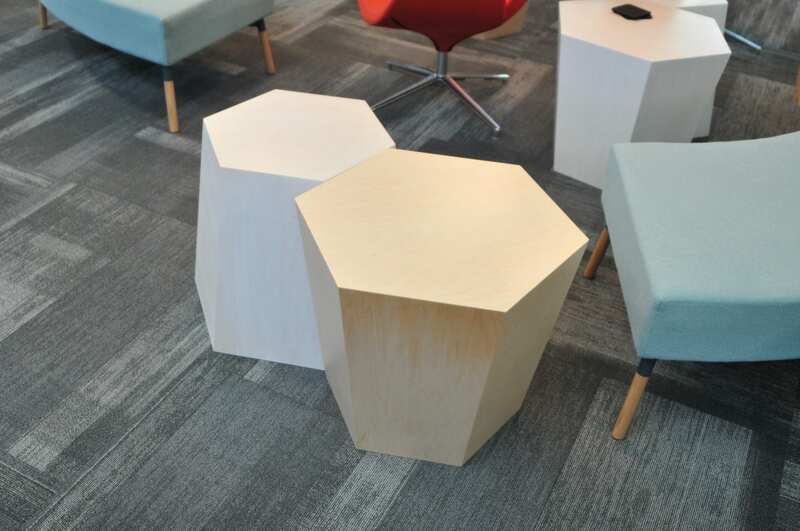 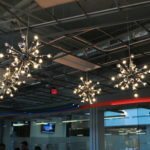 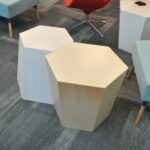 Within this space, Holt Environments designed, built, and installed several custom AV kiosks, custom LED lighting, contract furnishings, modern carpet tile, and branded environmental graphics. 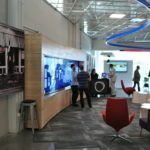 The central focal point within the room is a 9-panel multi-touch wall that meeting attendees can connect to wirelessly to display and share digital content or to walk through an interactive timeline of the company’s milestone achievements.